Welcome to the exciting new world of EFT (Emotional Freedom Techniques)! You are about to embark on an Adventure into a whole new way of being -- a whole new way of relating -- to your friends, family, co-workers, and yourself. We all have relationships -- we all have personalities -- and we all have bodies. With these relationships, personalities and bodies come opportunities, challenges, and problems. These challenges can include conflicts, tensions, misunderstandings, angers, resentments, fears, blocks, and etc. Perhaps you've already been 'working on yourself,' working on your relationship,' attended some seminars and workshops, and have tried to improve your situations. If you're like most of us, you've probably experienced some success, some frustration, and some failure. You may be ready to try something new --- something radically new and different. Are you willing to dream, for a moment? Who would you be, without chronic stress and tension? without fears, worries, and anxieties? without arguing and bickering in your relationships? without crippling judgments & self-doubts? without guilt and shame and low self-esteem? without the fears and blocks which hold you back? Who would YOU be ..... ????? * Develop poise, self-confidence and deep Well-Being. Simply put, EFT can transform your health, your relationships, your career, and all areas of your Life! The Emotional Freedom Technique (EFT) is a powerful self-help tool that releases and resolves mental and emotional stress rapidly and easily. EFT has been compared to a psychological form of acupuncture, but without using needles. It can be used to release and 'clear' anger, resentments, fears, phobias, anxiety, guilt, shame, depression, traumas, and virtually all forms of negative emotional experience; for cravings and addictions, including food addictions, drinking, smoking, and many drug addictions; and for physical ailments and psychosomatic conditions, including headaches, chronic pain, cramps, nervous tension, etc. It is being used to assist athletes, musicians, pilots, etc. to release test and performance anxiety, and to achieve and improve 'peak performance' in many areas of endeavor. EFT works quickly and gently; people do not need to repeatedly re-experience their negative emotional state, nor do they need to 'repeat' the treatment. EFT is simple and easy to use, effective, and has virtually no adverse side effects. The speed and effectiveness of EFT is the result of treating the problem at its source, which is an imbalance in the body's energy system. Unresolved traumatic experiences imbalance the body's energy system; strong negative emotions are often indicative of these imbalances. EFT 'corrects' these imbalances by having the client 'tune into' the negative emotion, and tap a series of acupuncture points, allowing the body/mind to balance and heal itself. This process is simple to learn, and can be applied in a few minutes, or less. "My first subject for this new treatment was a woman who had lived most of her life with a severe phobia of water. She became sick to her stomach if she had to stand near a pool (which she only did when treatment demanded), if she was caught in the rain, or if she drove past a lake or along the ocean shore. She developed a splitting headache every time she came in for treatment, and she literally could not look at water, even from a distance, without feeling ill. Even thinking about water caused her to have headaches and an upset stomach. "She could not recall a time in her life when she was free from this fear. I had been treating her, using systematic desensitization and R.E.T. (Rational Emotive Therapy) for a year and a half, which is not all unusual for such deep-seated phobias, and I had so far had minimal success. One day after studying Applied Kinesiology, I tried this new approach. The treatment took only about 1 minute. When I tested her after the treatment, it appeared that she had lost her fear. She knew immediately -- even before any verification by testing -- that the fear was gone. "The following day, she reported on her first night of 'freedom.' That evening we had a terrible thunderstorm. I was well aware that this event would normally be an occasion of particular fear for her. But she told me she had felt a wish to stand and watch the storm over the ocean in order to give an acid test to the cure. She drove to the shore (something she had never done before, even with company), parked her car, and walked down to the dark raging water. She told me that, standing there -- alone -- she felt a deep inner joy. Her lifetime fear was ended." After this amazing discovery, Dr. Callahan undertook a study of the application of AK principles to the treatment of phobias. 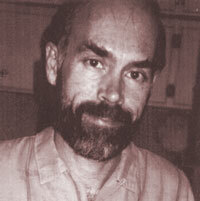 He published his findings in his first book, The Five Minute Phobia Cure (1985). He discovered that, besides phobias, nearly all forms of emotional and psychological distress could be relieved rapidly. Two other clinicians have written books on similar treatments: Dr. James Durlacher (Freedom From Fear Forever) and Dr. William Whisenant (Psychological Kinesiology). These systems involve using AK (Applied Kinesiology/muscle testing) to diagnose which meridian(s) are weak, and then correcting the meridian imbalances. The Emotional Freedom Technique (EFT) was developed by Mr. Gary Craig. Craig is an engineer by training, who has had a life-long interest in personal growth and in helping people become more successful. In the early 1990's he studied TFT with Dr. Callahan. While he saw the effectiveness of the techniques, he did not like the complexities of the system, nor the ways in which it was being marketed at that time. Gary asked himself, "Rather than having this complex system of different sequences of points for different conditions, and rather than having to use muscle testing, would it possible to develop ONE system which would reliably work on most or all problems, most of the time?" He has made a major contribution to the field by developing EFT, which involves tapping on ONE sequence of points, which works for (almost) all conditions. He has found that usually all that is necessary is for the client to focus on the distressing emotion or memory, and then tap a specific set of points. This allows virtually any problem/condition to be treated with the same process, and makes EFT comprehensive, user-friendly, and simple and easy to learn. What is EFT good for? EFT desensitizes limiting emotions which can block a person's growth, development and well-being. Sometimes this results in dramatic shifts in cognition or insight about the original problem, and it often facilitates a clearer understanding about situations and events. When EFT is performed on an experience, the associated 'negative' feelings are simply released and desensitized, gently, comfortably and permanently. EFT is estimated to be effective upwards of 80% of the time. Sometimes, of course, a particular issue will have deeper feelings connected with it, (aspects and layers) which may need to be addressed individually. In these cases EFT can still be effective, but working through the aspects and layers can take a little longer. EFT stands for the Emotional Freedom Technique. It is a method for rapidly releasing and clearing fears, phobias, blocks, angers, guilts, resentments, traumas, upsets, and virtually any kind of negative emotion or stress, by balancing the body's energy field, by rubbing and tapping on acupressure points. It has been compared to a psychological form of acupuncture, except that as no needles are used, it can be done by anyone. EFT is unique. It is very different from traditional therapies and self-help methods, and it is extremely effective. EFT was developed by Gary Craig, an engineer and peak performance trainer from Stanford. Is there a connection between EFT and TFT (Thought Field Therapy)? EFT is a simpler, more 'user-friendly' version of Thought Field Therapy, developed by Roger Callahan, Ph.D. Both techniques are powerful methods for desensitizing stress, blocks and 'negative' emotions by stimulating acupressure points. Both EFT and TFT are part of a 'family' of techniques in the rapidly developing field of Energy Psychology. Is it necessary to 'believe' in it, for it to work? No. EFT is being done every day on young children and on animals, who obviously have no belief in it. It can also be used effectively with people who have doubts, skepticism, or even self-sabotage. EFT is used to rapidly release and clear fears, phobias, blocks, angers, guilts, resentments, upsets, traumas, and virtually any form of negative emotion or stress. It is being used to improve test scores, golf and tennis scores, and academic and athletic and job performance. EFT can help people stop smoking and drinking, and to give up other addictions and destructive behaviors. People are using EFT to undo chronic blocks, unleash creativity, improve self-esteem, and create better relationships. It can relieve and diminish aches, pains and tensions (sometimes permanently). It can also be used for health conditions, headaches and backaches, to relieve pains and muscle cramps, to relieve allergies and food sensitivities, improve concentration, intuition and psychic abilities, and ET CETERA. EFT can be used to help relieve virtually any form of discomfort, and to improve virtually any aspect of human behavior. Will EFT work for me? If you are intelligent enough to read this, are willing to follow directions, and are able to focus your attention, then EFT can work for you. Obviously, any individual's results may vary depending upon a number of factors, including the issue, apparent severity, motivation and willingness to change, etc. However, many people have been pleasantly surprised at the results they've received; and EFT has worked wonders in cases where nothing else has. http://www.mercola.com...........Dr. Joe Mercola's website; has lots of information on EFT and health issues. I am a counselor and seminar leader in private practice. Among other things, I have been the editor of an alternative monthly, and a holistic health radio talk show host on KXCI-FM. I currently serve as a volunteer mediator with Our Town Family Center, and have presented seminars and workshops around the country for many years. I hold a Master's Level Certification in NLP, with advanced training in EFT, TFT (Thought Field Therapy), EMDR (Eye Movement Desensitization and Reprocessing), and other advanced modalities. 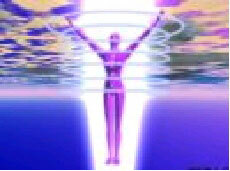 I have been trained in EFT by Gary Craig, the founder of EFT. I find EFT to be one of the most (if not the most!) powerful and effective self-help, self-empowerment and personal growth tool available, and I feel thrilled to be able to teach and share this with people around the world. I will be travelling this summer to Europe to teach EFT in the U.S. and Europe. Seminar: Rapid Emotional Release 101! When: Saturday, June 1, OR Sunday, June 2, 9:00 - 5:30 p.m. Cost: $125.00; or $115 prepaid before May 25, $105 prepaid before May 18. To register, or for more information, call 1-800-875-9199.